All cats and dogs, other than exempt cats and dogs, must be registered by six months of age. The registration fee is a once-only payment, which covers the cat or dog for its lifetime in NSW, regardless of any changes in ownership. You are encouraged to have your cat or dog desexed before registering it.... I am a NSW CFA registered breeder of Chocolate, Brown, Lilac and Blue Burmese. My kittens are lovingly raised indoors and all the kittens come with 2 vaccinations, vet checked, microchipped, worm/flea treated and also come with a pedigree certificate and kitten pack. The NSW Pet Registry is an online database of microchipped and lifetime registered dogs and cats that life in NSW. 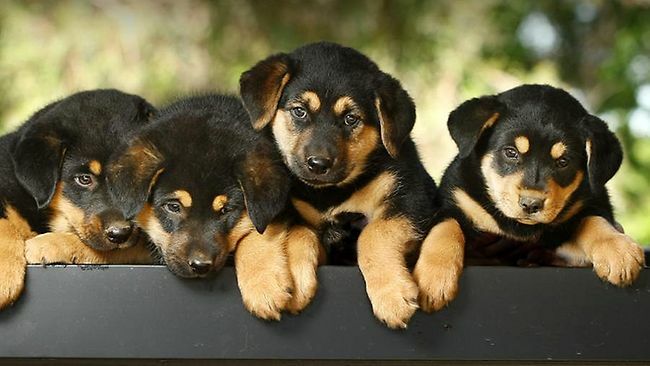 All pets previously listed in the Companion Animals Register are now available through the NSW Pet Registry.... I am a NSW CFA registered breeder of Chocolate, Brown, Lilac and Blue Burmese. My kittens are lovingly raised indoors and all the kittens come with 2 vaccinations, vet checked, microchipped, worm/flea treated and also come with a pedigree certificate and kitten pack. CAUTION: Many dog breeders claim to be a ‘registered breeder’, but this doesn’t give any guarantees. Often this simply means that they have registered as a business with their council which may have no relevance for the welfare of the animals in their care. But even when a breeder is a member of a breed association or breeders organisation one still has to be careful. While such how to cook canned foie gras Keeping your contact details up to date will assist in the return of your cat or dog should it become lost or stray. Does my farm/working dog have to be registered? A working dog is used primarily for the purpose of droving, tending, working or protecting stock, and includes a dog being trained as a working dog. Providing services and excellence of knowledge to the Greyhound community, including breeders, owners and trainers. The GBOTA operates greyhound race meetings throughout NSW, including at the State's premier greyhound track Wentworth Park, the sole Metropolitan venue in NSW. 21/05/2008 · = NO SUCH THING! Being a member of the Rabbit Fanciers Society of NSW Or any other rabbit club: Does not give anyone the entitlement to advertise as a registered breeder or make them a registered Breeder! I am a NSW CFA registered breeder of Chocolate, Brown, Lilac and Blue Burmese. My kittens are lovingly raised indoors and all the kittens come with 2 vaccinations, vet checked, microchipped, worm/flea treated and also come with a pedigree certificate and kitten pack.